A team of consultants from the Kenya Devolution Support Program (KDSP) have reiterated the need to ensure prudent use of devolution-support funds. 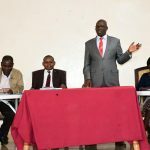 The KDSP team comprising of Dennis Marube, Saleme Ooko and Janet Masese said counties are expected to invest proceeds from the grants on a range of eligible development projects as per their approved county plans. 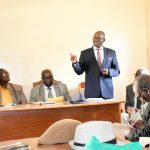 They said performance assessment is done and Counties identified to have managed these grants prudently are expected to secure extra allocation. This is shared out using an index combining the equitable share formula and performance scores. 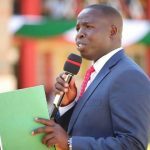 This regular assessment seeks to enhance appropriation of funds and implementation of projects as per the Annual Development Plan (ADP) and County Integrated Development plan (CIDP). All these are geared towards the development and transformation in the county. KDSP’s role is to strengthen capacity of core national and county institutions to improve delivery of services. Others are economic expansion, good governance practices as well as supporting counties to be fully operational in key result areas including public financial management, planning, monitoring and evaluation, human resource and performance management, devolution and intergovernmental relations as well as civic education and public participation. 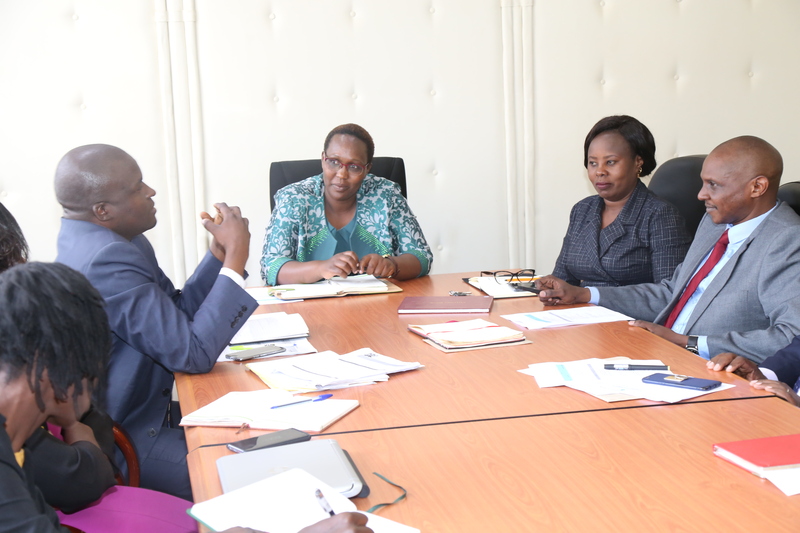 This team is in Nandi to assess the minimum performance conditions and measures, after the disbursement of the performance-based grants from the Ministry of Devolution and ASAL for the Financial Year 2017/18. During their visit, the team will be assessing performance on areas pertaining financial statements, audit, annual planning, citizens complaint system, consolidated procurement plans, core staffing, social safeguard of functional and operational environment.